With the revelation that Netflix might be in talks to produce their own Korean variety show (check out the story on SBS Pop Asia) we started feeling nostalgic. We began to reminisce about some old school variety shows that we used to scour the internet for when we were first starting to appreciate Korean entertainment. Here is a short list of some shows that we wish we could see again! This is a serious oldie and can be called, we think, the granddaddy of all current variety shows! Now, we weren’t able to enjoy full episodes of this program since it ended in 2007, but, we used to sniff around Youtube for snippets to enjoy! The show consisted of a permanent set of castmembers, led by Yoo Jae Suk, who would return week after week to compete against each other in feats of intelligence and strength, leading to some pretty humourous interactions, epic rivalries and even romantic archs, in the case of Kim Jong Kook and actress Yoon Eun Hye. We’re sure this show was responsible for keeping many a family home on Sunday evenings! Another oldie, but goody! Considered the sequel program to X-man and airing in 2008 on SBS, familiar faces Kim Jong Kook and Yoo Jae Suk led the permanent cast. The show’s formula called for the cast members (family) to travel to country houses and “housesit” while the owners went on vacation. The owners would leave tasks to complete, which turned out to be fun challenges that the “family” had to win in order to settle rank, chore assignments and sleeping arrangements! Who could forget the emergence of actor Lee Chun Hee as “Chundrella” or actor Kim So Ro as “Stepmother Kim”? Able to stay afloat for two seasons before being suddenly cancelled, Roomate is one of those rare shows where we got to see the daily interactions between stars from different sectors of the entertainment industry. Actors, idols, and comedians all converged on their sharehouse and regaled audiences with their stories, created lasting relationships and lived through touching moments on camera. One of the top moments of the show had to be when Jackson from Got7 was tearfully reunited with his family after two years of being apart since he was working so hard at his career with his group in Korea. We wish this show would get another season! We’re not sure why this Kpop-centric show fizzled out of existence, but we were sad to see it go! The idols they invited on as guests were good sports and would do whatever was needed in order to win the various (hilarious) challenges the show offered, which led to some pretty funny moments! Interactions between male and female idols were instant gifs, with fans either loving or hating the various pairings, but we enjoyed the fact that they did not shy away from allowing guests to interact with each other. The show even hosted the most watched Korean content on Youtube in 2013! 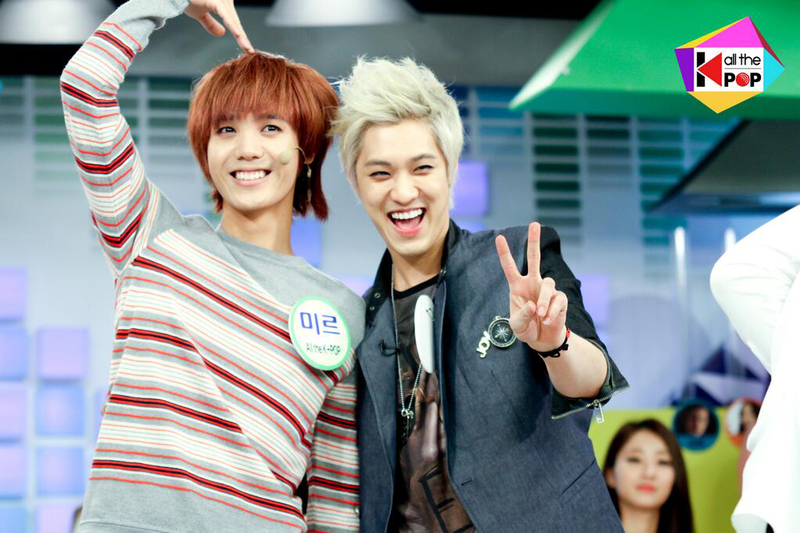 Groups like Vixx, Crayon Pop, B1A4 and Mblaq were constantly appearing on the show before its cancellation in 2013. Were you a fan of any of the shows we mentioned? What do you think Netflix’s variety show will be like? Can’t wait to see!